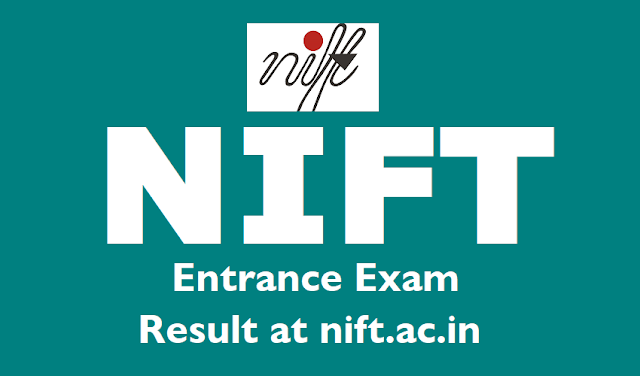 NIFT Entrance Exam 2019 Result Declared at nift.ac.in: The results of National Institute of Fashion Technology (NIFT) entrance examination 2019 have been declared. Candidates who had appeared for the exam can check their result on official website nift.ac.in. The exams were held on January 20, 2019. The entrance exam for India’s most coveted fashion institute was organized on 20th January 2019, earlier this year, for fashion technology enthusiasts seeking admissions to various UG and PG courses in NIFT. NIFT Entrance Exam Result 2019: The National Institute of Fashion Technology (NIFT) has announced the result for the entrance exam conducted on January 20, 2019 for admission to graduate and postgraduate courses in the institute, on the official website, nift.ac.in. The institute has declared the results for B Ftech, M FTech and MFM programmes while the results for B Des and M Des are still awaited. Note: Students are suggested to download the result and take a print-out for further reference. Candidates who clear the written exam will have to appear for situation test, group discussion and interview. The final result will include the marks of all stages of screening and will be declared by May 2019. The results of the National Institute of Fashion Technology (NIFT) entrance examination has been released on March 23, 2019. All those candidates who had appeared for the same are required to check their respective results at the official website - nift.ac.in. Earlier, the result of the written test was declared on January 20. Those who have cleared the exam will get an admission in the reputed institute. The exam was conducted for admission to various undergraduate and postgraduate courses. There are a total of 3,010 seats available in various undergraduate and post gradate courses at the institute. The bachelors’ degree programmes include fashion design, leather design, accessory design, textile design, knitwear design, fashion communication and fashion technology apparel production. The masters’ degree courses include master of design, master of fashion management and master of fashion technology. The written test comprised of GAT (General Ability Test) and CAT (Creative Ability Test) to assess the fashion knowledge, skill and aptitude of the applicants. Candidates who had appeared for the entrance exam can follow the instructions below and check their status now..
How to check NIFT Entrance Exam 2019 Result? The candidates who clear the written test will now have to appear for Situation Test / Group Discussion / Interview. NIFT is yet to announce the date, but the website says it is expected anywhere between April – May. Candidates who have qualified the written exam will now be eligible to appear for next rounds viz Situation Test / Group Discussion / Interview. NIFT aims for organize the next rounds in the months of April and May, to declare results by May/June 2019 and wrap up the admissions process. About NIFT: Set up in 1986, NIFT is the pioneering institute of fashion education in the country and has been in the vanguard of providing professional human resource to the textile and apparel industry. It was made a statutory institute in 2006 by an Act of the Indian Parliament with the President of India as ‘Visitor’ and has full-fledged campuses all across the country. Over the years NIFT has also been working as a knowledge service provider to the Union and State governments in the area of design development and positioning of handlooms and handicrafts.